Even one of the most bullish Tesla analysts on Wall Street can’t muster the nerve to back Elon Musk up this time. 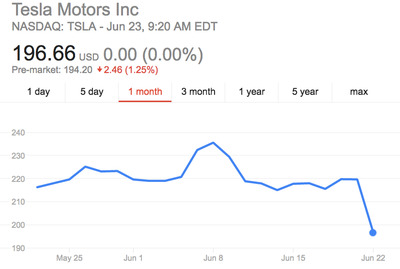 Morgan Stanley’s top auto analyst Adam Jonas just downgraded his rating on Tesla shares to “equal weight” from “overweight,” and cut the bank’s price target to $245 from $333. Tesla’s trading at around $196, so Jonas still sees room for the shares to rise a bit. 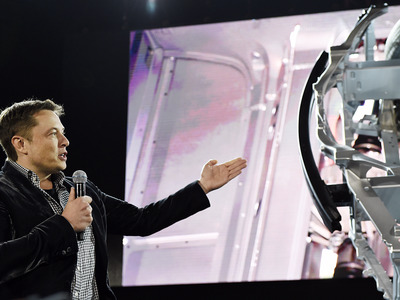 But the change in his view should be seen by Tesla as a big red flag about how investors feel about its plans to go from carmaker to full service alternative energy enterprise. Tesla said Tuesday that it wants to acquire SolarCity, the solar panel company also backed by Musk, for about $2.8 billion. With the deal, Musk hopes to marry the electric-car maker he is CEO of with the solar company he’s chairman of. So far, Wall Street has balked. Tesla shareholders have to approve the deal and right now the way shares of the two companies are trading indicate that people think they won’t. And in his note Thursday, Jonas explained why. Jonas is famous for his bullishness on Tesla. He once had a price target of $450 on the shares , and he’s famous for his very long-term thinking about Tesla’s future. He’s the guy who asks Musk questions on conference calls like whether it planning to sell autonomous cars directly to firms like Uber, because — you know — that’s the only way people will use cars one day. So if anyone was going to give Musk the benefit of the doubt about why Tesla could use a solar panel company in its arsenal, you’d think Jonas would. Separately, Morgan Stanley’s SolarCity analyst also downgraded the company’s rating and price target. For Jonas, Tesla’s share price is influenced by three main factors, and the agreement with SolarCity raises concerns about all of them. First, buying SolarCity would not help Tesla make better cars. Like many other Tesla analysts, Jonas thinks the combination of Tesla’s clean-transportation business with SolarCity’s clean energy would create an intuitively better ecosystem for both. For example, the new company could make more cars at a lower cost, while reducing installation costs for SolarCity’s panels. However, Jonas views such benefits as theoretical and still far off. The second issue is that SolarCity would worsen Tesla’s cash burn. The company has had negative free cash flow for several quarters and burned almost $2 billion during 2015. Morgan Stanley sees this burn rate slowing but not stopping through 2018, even after accounting for the cost-saving benefits that Tesla’s combination with SolarCity would bring. 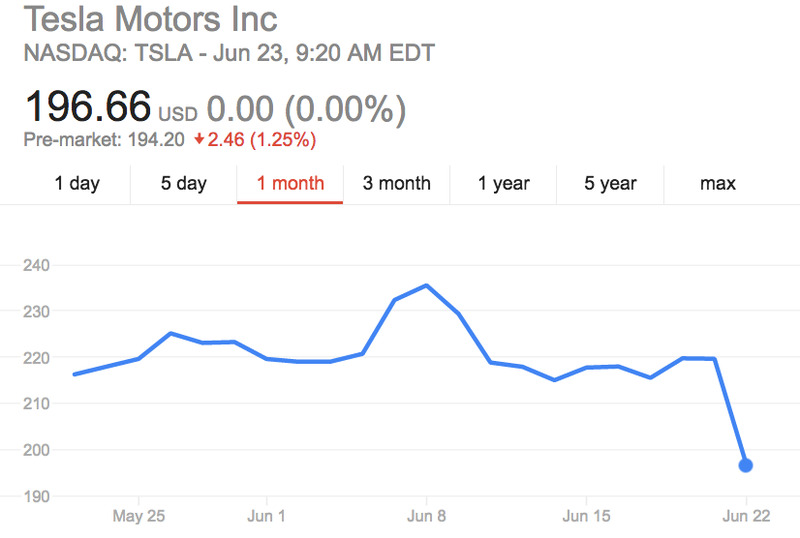 Thirdly, Tesla is not likely to improve its access to capital markets through this deal. That would also be true for SolarCity, especially if the plans fall apart.